In the deepest, shadiest corners of the Dark Web, there are crooks and extremists plotting attacks against people, states, and organizations. It’s an area of the internet little-known to everyday-citizens of the world. But tech experts are monitoring the Dark Web, and insurers might be able to reap the benefits of learning what is being discussed in the most nefarious chatrooms out there. “Regarding what exists in there: there’s everything that you can imagine, and everything that you cannot imagine as well,” said Avi Kasztan, chief executive at Sixgill, a company that monitors the Dark Web for planned cyberattacks. The company – which includes former Israeli military cyber security experts – has insurance clients in the US, Kasztan said. 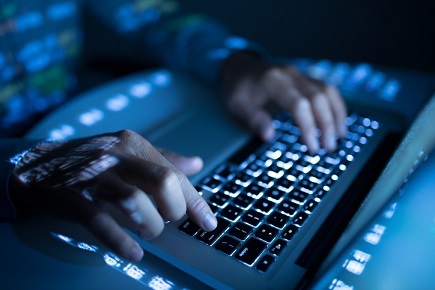 The difficulties in infiltrating the secret chatrooms in the Dark Web are numerous, but the company has developed software to dig deep and then extract and store the data it uncovers. From there, the company can alert its clients to potential, or impending, cyberattacks against them. “We know that the hard-core cybercrime happens within the Dark Web,” he said. “One of the challenges you have when you go to this world of the Dark Web is to find where the things are … because you don’t have Google. We had to develop a technology that enabled us to find that, and then we had to develop another technology that is able to extract this data from these places.